April is here! The weather is beautiful in the Triangle – the flowers and trees are blooming. Have you visited Dix Park to see the thousands of daffodils in full bloom? Are you curious about the spring real estate market in the Triangle? Please contact us at info@luxurymovers.com or call us at 919-424-1867. Want more information about us? You can read about all our team members on our website. What’s new with you? We enjoy hearing from our clients past, present and future. Feel free to tag us on Facebook, Twitter, or Instagram– we would love to share your photos! Contact us for a free CMA to determine the value of your home! Jen is happy that Mother Nature has decided to give us April sunshine instead of April showers. Jen and her husband have been taking many walks with their old dog, Clyde, and enjoying the beautiful outdoors. Jen loves this time of year when the birds are extra chirpy and the Dogwoods, Cherry Blossoms and Tulip trees are all blooming. Jen’s oldest is trying something new this year – track! It has been fun for Jen to attend the meets and watch her daughter grow in this sport. Jason had a nice March! He and his wife had family visit them in Raleigh, and they also went out of town to visit family for a weekend. Outside of that, he has been staying busy with real estate, teaching, playing soccer and starting to put together the nursery for their baby girl, who is on the way July 1st! Sharon had a great March and is super excited to see spring arrive in North Carolina. She was able to take a couple of road trips to Asheville to see her old friend Dan and to tour Western Carolina University, where her son Sam will be attending college in the fall. It was great to get to the mountains! She has also been enjoying seeing Sam’s percussion ensemble – Alchemy of Carolina Gold – perform their new show. She spent some time with her son Ryan while he was home from school on spring break. She and Randy are looking forward to the warmer weather and enjoying time in their new camper exploring North Carolina’s campgrounds, beaches and lakes! March was great for Erika. A few days of warm weather brightens the spirit! All the kids are well. Jesse arrived in Thailand and got to put his feet on dry land for a few days after 60 days underway. Macy and her dad made a move to Arizona and she is loving the new scenery and culture! Erika is excited to meet new clients everyday and help them realize their real estate dreams! Hunter had an excellent March! Aside from enjoying the outdoors when the weather was nice, he got to spend great time with his family. He celebrated his younger brother’s birthday and also is excited to see his younger brother play in the spring game for NC State football! Welcome Christa to our team! Christa is very excited to hit the ground running and March was a very successful month for her! She is looking forward to warmer weather and spending more time outdoors. Christa’s son, Mateo, is about to graduate from Wake Forest High School and has been preparing for his college journey at Coastal Carolina University, where he will play football! Her daughter, Kimora, is 13 years old and plays club and school soccer. They are both glad that the season has started again. Christa looks forward to helping buyers and sellers make their real estate goals a reality! Our client services coordinator Karen has been busy watching her daughter Sydnie play basketball. Sydnie finished her first high school basketball season strong, being named the most fundamentally sound player on the team and a total of 75 points in the books. Now on to AAU! Karen and her husband recently visited the Biltmore in Asheville. It is a beautiful place, and Karen highly recommends it – so many things to see and do around that area. They enjoyed visiting and catching up with with family friends in Black Mountain while there. Your LuxuryMovers gave back to… Salvation Army of Wake County, Carolina Gold/Alchemy, Duke Hospital, Goodwill, March of Dimes, Knightdale Chamber of Commerce and our local schools and houses of worship. In addition, a donation was made to the Alzheimers foundation in memory of Susan Bayless, a dear friend and mother of one of Jen’s best friends, who passed away last month. 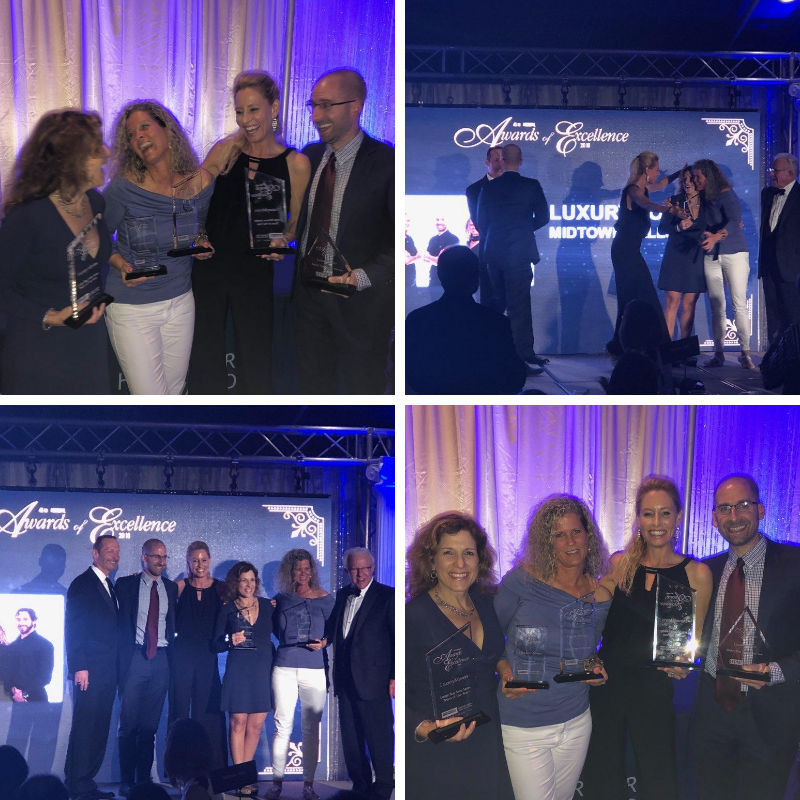 Your LuxuryMovers Real Estate Team was honored at the Coldwell Banker Howard Perry and Walston 2018 Awards of Excellence Event in March. We are honored to have been named Market Title Team of the Year, Large Team of the Year, Large Volume Leader of the Year, and Large Buy Side Sales Team of the Year, as well as the International President’s Elite award. We are so proud of our team, and so grateful to our clients! Are you interested in learning the value of your home? What is your home worth in today’s market? The best method available to home sellers to learn their home’s current value so they can select the best sale price is a CMA, or Comparative Market Analysis. Click here for a free CMA! A proposed 562-home neighborhood may be coming to a once rural area along the Raleigh-Durham, N.C., line, according to the News & Observer. The Durham Planning Commission recently voted 9-2 to rezone the land for development, but the City Council needs to approve the plan. If approved, Mungo Homes plans to build roughly 145 townhouses and 414 detached homes in the $250,000 to $400,000 price range. Raleigh is one of the best cities for first time homebuyers, according to a recent study by bankrate.com. It ranked second in the country based on affordability, culture, housing market tightness, job market, and safety. According to the Triangle Business Journal, 13 of the 15 wealthiest ZIP codes in the Triangle area are located within the confines of Wake County. Raleigh and Cary each had three of the wealthiest ZIPs. These include areas such as Cameron Pond, Amberly and Lochmere in Cary, and the Five Points and Bayleaf areas in Raleigh. When broadening the scope to the top 25 wealthiest Triangle-area ZIP codes, the highest-ranked ZIP codes outside of Wake and Orange counties included Clayton in Johnston County at No. 16. Did you know: Wake County offers a new tool to explore the parks in Wake County. Whether you are searching for a place to picnic, test out your mountain bike skills, play disc golf or soak up some local history, the Park Locator makes it easier than ever to explore the opportunities available in Wake County. Developed in partnership with the City of Raleigh, the Park Locator features all state, county and municipal parks and preserves in Wake County, including those in Apex, Cary, Fuquay-Varina, Garner, Holly Springs, Knightdale, Morrisville, Raleigh, Rolesville, Wake Forest, Wendell and Zebulon. For the fourth consecutive year, County Health Rankings has named Wake County the healthiest county in North Carolina. The rankings come from a collaboration between the Robert Wood Johnson Foundation and the University of Wisconsin Population Health Institute. They compare counties across each state on more than 30 factors that impact health, including education, jobs, housing, exercise, commuting times and more. On April 27th, the annual Spring Daze Arts & Crafts Festival will be held at Fred G. Bond Metro Park, Cary’s 310-acre urban park. Spring Daze features over 170 North Carolina artists, entertainment on four stages, delicious festival food, and Cary’s annual Earth Day Celebration. Spring Daze features the best of North Carolina’s diverse arts and crafts community. The Town of Garner will host its annual Spring Eggstravaganza on Saturday, April 13th, at Lake Benson Park. The Easter Bunny will be on site for photo opportunities, along with vendors, games, crafts, music and more! 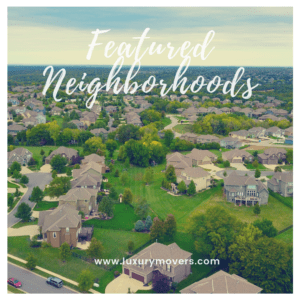 Our website features neighborhoods and areas across the Triangle! Find cozy condos, beautiful single-family homes, sweeping estates, and everything in between. Search by area and by neighborhood! Do you have questions about the Triangle real estate market? We have a video library on our website that addresses many of our most frequently asked questions. You can also find the videos on our YouTube channel. 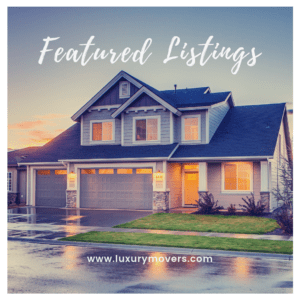 Visit our website to see our featured listings! See our coming soon listings!